17 Facts About the Spitfire – We all Know These, Right? The iconic British aircraft of World War Two, the Spitfire, has come to represent defiance, courage, and ingenious engineering. Here are some facts about one of the world’s most famous planes. The company behind the Spitfire was Supermarine. Primarily known for their seaplanes and flying boats, with the Spitfire they proved that they could do much more. 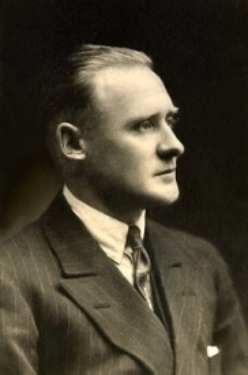 The Spitfire was designed by R. J Mitchell, one of Supermarine’s top engineers. He had extensive experience designing seaplanes to race in the Schneider Trophy competition, experience which he now turned to creating a streamlined, maneuverable fighter. Mitchell never got to see the fame his creation would earn. 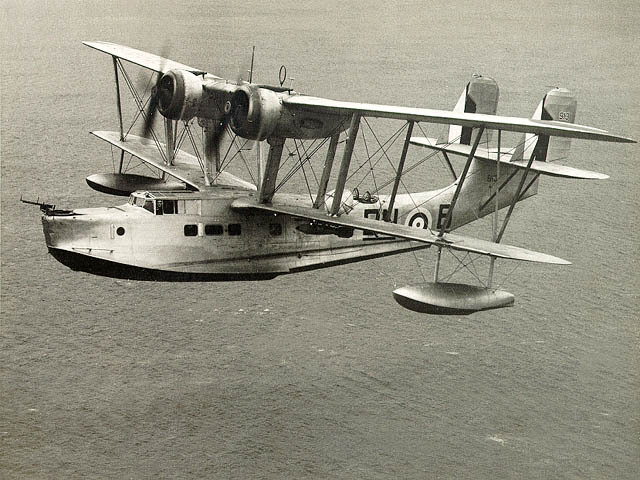 He died of cancer in 1937 at the age of 42, with his seaplanes still his most famous creations. 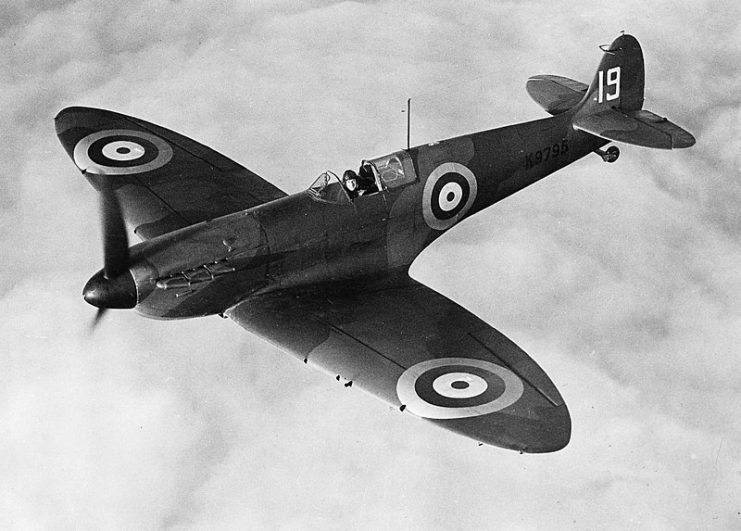 The first flight by a Spitfire took place on March 5, 1936. Two-and-a-half years later, in August 1938, Spitfires first joined the ranks of Britain’s Royal Air Force (RAF) when they entered service at Duxford airbase. K9795, the 9th production Mk I, with 19 Squadron in 1938. On the 16th of October 1939, a Spitfire from No. 603 Squadron shot down a Heinkel He111 bomber. It was the first time in the Second World War that a German plane was destroyed over Britain, a harbinger of far greater destruction to come. Mark I Spitfires played a crucial role in the Battle of Britain when Allied pilots defended Britain against the massive firepower of the German bomber fleets. 19 Spitfire squadrons were in service with Fighter Command at the start of the battle and fresh Spitfires were on their way. They didn’t match the Hawker Hurricane for kills in the battle, as Hurricanes initially outnumbered Spitfires two to one. But with its sleek design and dramatic name, the Spitfire became the symbol of Britain’s fight back against the threat of invasion. Even before the war began, Supermarine’s engineers were refining the Spitfire’s design, with the aim of making an improved version. This work gained a new urgency once war broke out. 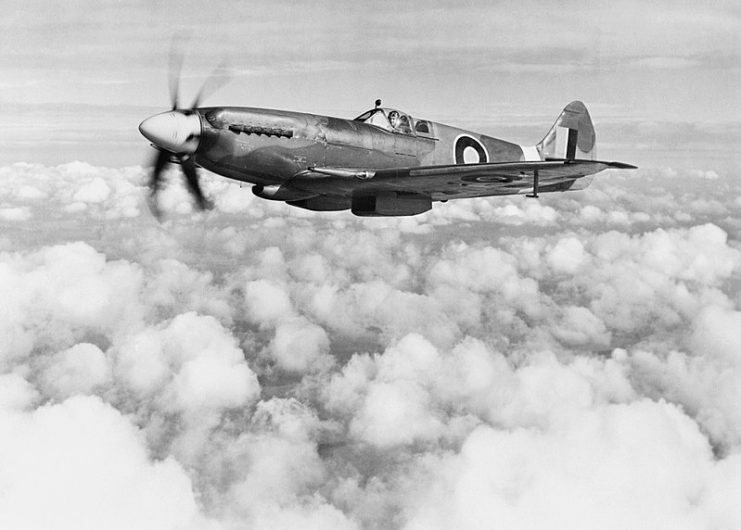 By the end of the Battle of Britain, Mark II Spitfires were starting to enter service. They proved a success. Over the next year, the Mark Is were retired from front-line combat in favor of the new model. Spitfire Mk IIA, P7666, EB-Z, “Observer Corps”, was built at Castle Bromwich, and delivered to 41 Squadron on 23 November 1940. Arriving in February 1941, the Mark V became the most numerous Spitfire of the war and Fighter Command’s leading weapon in the war for the skies above Europe. Between then and the end of 1943, 6,000 Mark Vs went into action as part of over 140 RAF squadrons and other units. Mark V Spitfires were used by the air forces of ten different countries, including the United States Army Air Forces (USAAF). They saw action all over the world, in the campaign for North Africa, the siege of Malta, fighting for the Soviets on the Eastern Front, and defending Australia against the threat of Japanese attacks. 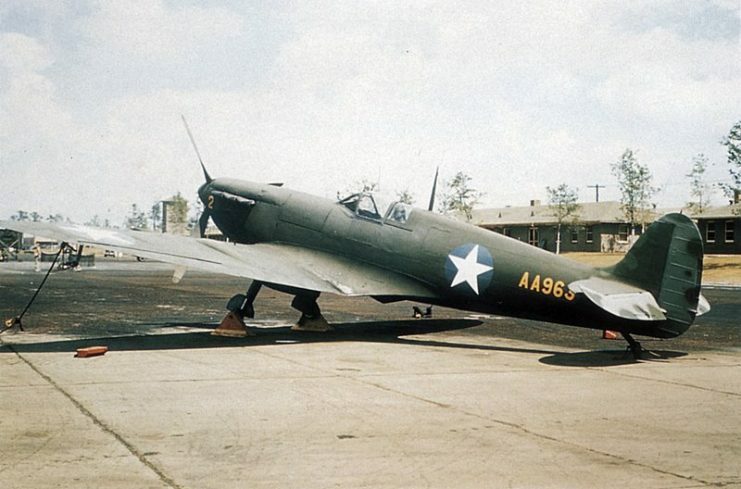 A U.S. Army Air Forces Supermarine Spitfire Mk.Vc (RAF s n AA963) without wheels at Wright Field, Ohio (USA), in 1942. Spitfires became so popular because of their high performance. Fast and maneuverable, the Mark V had a top speed of 369mph (almost 594 kph) and could climb 20,000 feet (6,096 meters) in seven-and-a-half minutes, with a flight ceiling of 36,500 feet (11,125 meters). Later models further improved upon this. Flight Lieutenant Laurie of No 222 Squadron, Royal Air Force starting up Supermarine Spitfire Mark V, BM202 ‘ZD-H’ “Flying Scotsman”, at North Weald, Essex. 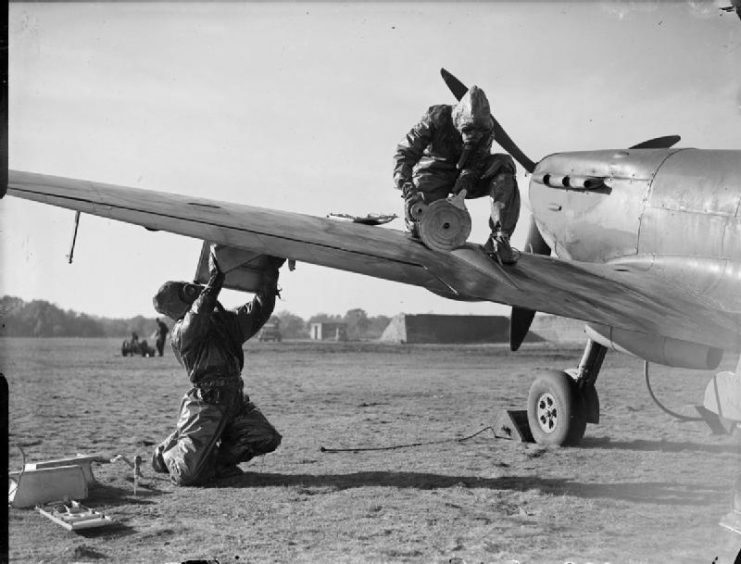 The Spitfire also had an excellent range, improved by the use of disposable drop tanks to carry extra fuel. The Mark V had a range of over 1,100 miles, allowing it to support bombers on missions deep into the heart of Germany, to destroy enemy manufacturing and infrastructure. 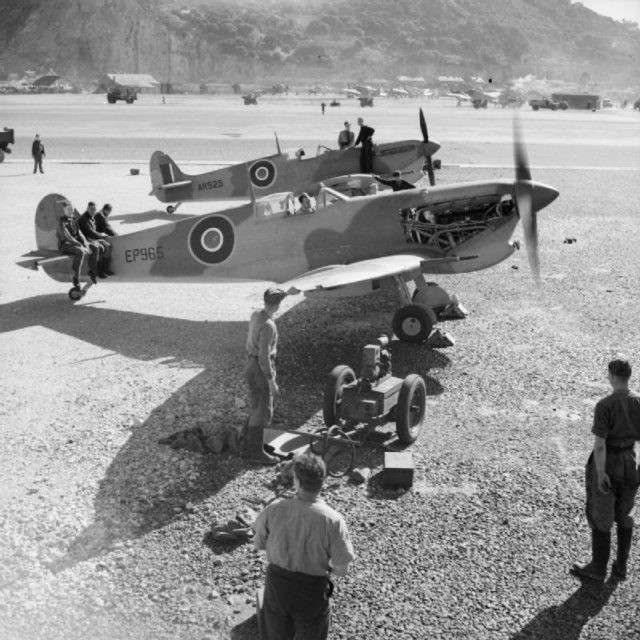 Supermarine Spitfire Mark Vs assembled by the Special Erection Party for Operation TORCH, undergoing initial engine tests at North Front, Gibraltar. 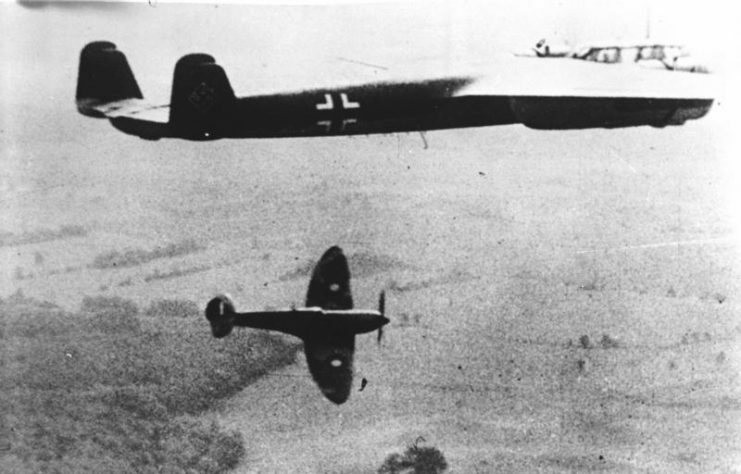 In September 1941, Germany’s deadly Focke-Wulf 190 fighter appeared in the skies over Europe. It could out-maneuver the Spitfire Mark V and for nearly a year was the most potent fighter in the war. Then, in June 1943, the Mark IX Spitfire arrived. A further improvement on the classic design, it ended the Fw190’s dominance. 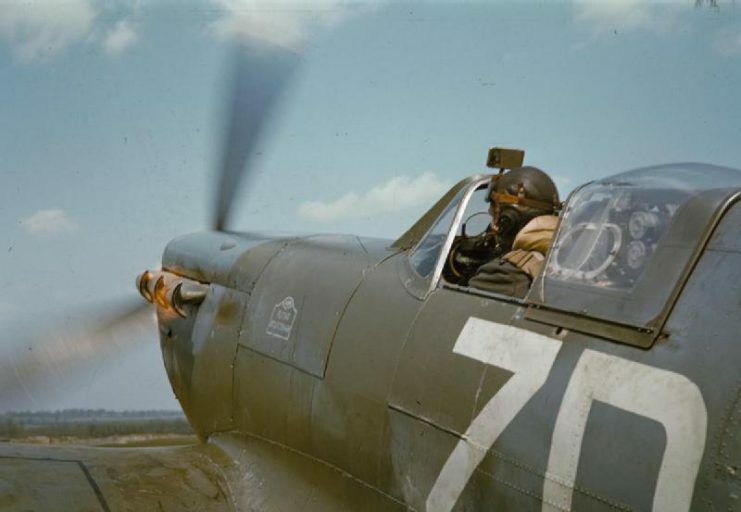 The Mark V Spitfire was equipped with eight 7.7mm machine guns, standard fighter weapons of the early war. But armor and self-sealing fuel tanks on German planes made heavier weaponry necessary. The Mark IX had four .303 machine guns and two 20mm cannons, whose explosive shells could counter German protection. 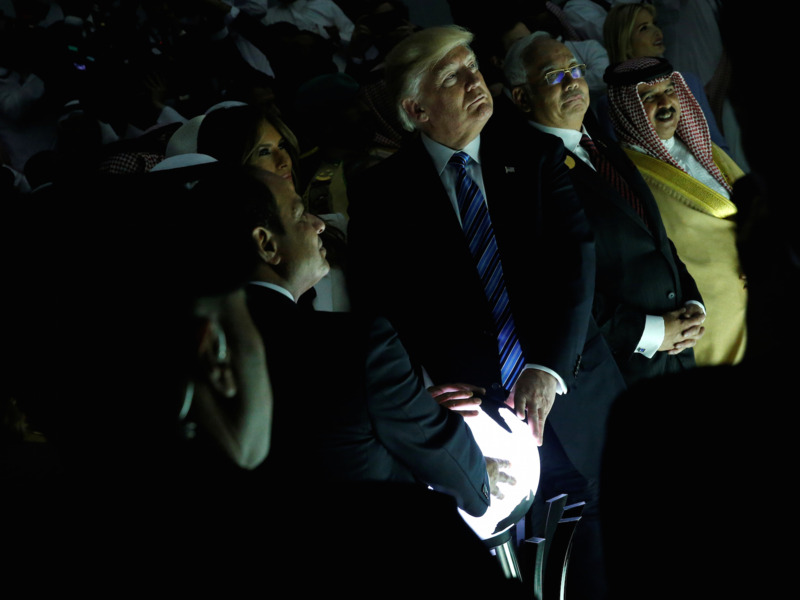 It could also carry a thousand pounds of rockets or bombs. Supermarine Spitfire Mk IX, 611 Squadron. The next Spitfire, the Mark XIV, entered service in January 1944. Able to reach nearly 450mph (724 kph), it was the fastest Spitfire yet. The Mark XIV was so fast that it could pursue and destroy the V-1 rockets that Germany was starting to use to bombard Britain. Mark XIVs defeated more than 300 of these deadly weapons as they hurtled toward British cities. Spitfire F Mark XIV, being flown by the commanding officer of No. 610 Squadron RAF, Squadron Leader R A Newbury, when based at Friston, Sussex. Mark XIVs also proved effective against early jet fighters, which Germany deployed late in the war. The first Messerschmitt Me262 jet to be destroyed by Allied planes was shot down by a Mark XIV in October 1944. Though the Mark XIV was faster, the Mark IX was still an effective weapon. Mark IX pilots also destroyed a number of Me262s before the end of the war. 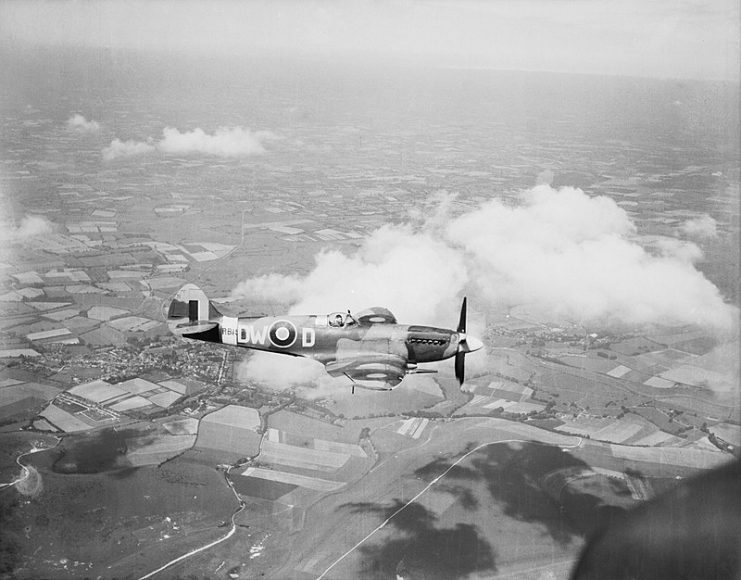 Supermarine Spitfire Mk XIVe RB140 in March 1944. Mark IXs and XIVs could be used to bomb enemy positions. In December 1944, Mark XIV Spitfires carried out the heaviest fighter-bomber raid of the war, when they hit a German V-2 rocket facility. Four Supermarine Spitfire F Mark XIVs, of No. 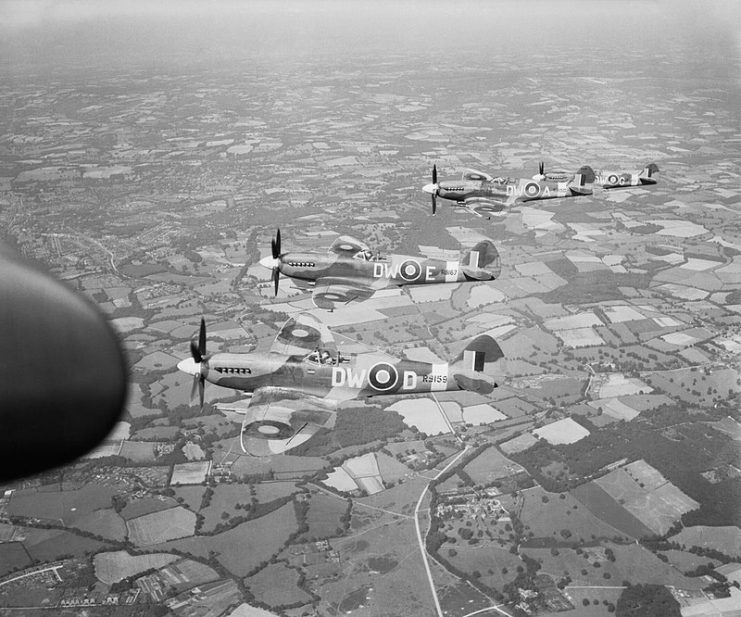 610 Squadron RAF based at Friston, Sussex, flying in loose starboard echelon formation over South-east England. 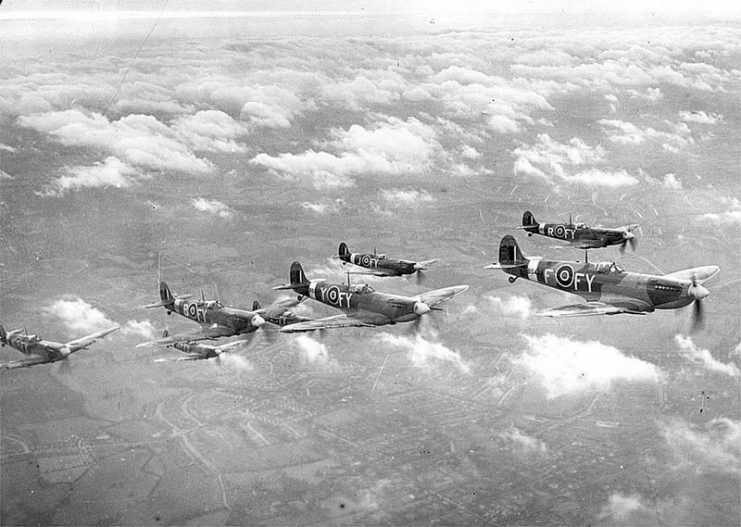 Spitfires continued in service after the Second World War, with the Mark XVIII joining the Mark XIVs. 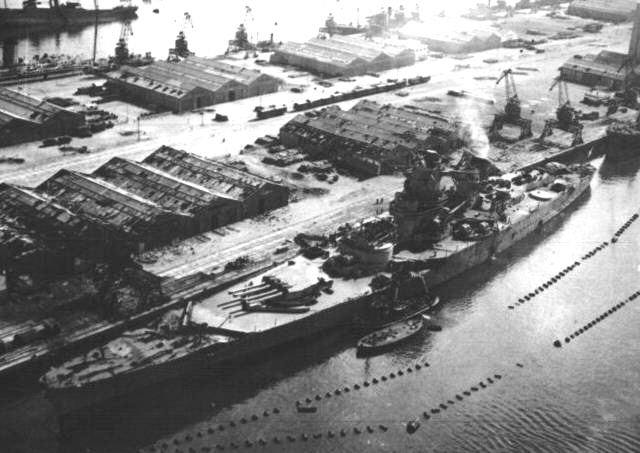 Production continued until 1949, by which time over 20,000 had been built, including a naval version called the Seafire, a fitting return to the plane’s roots. 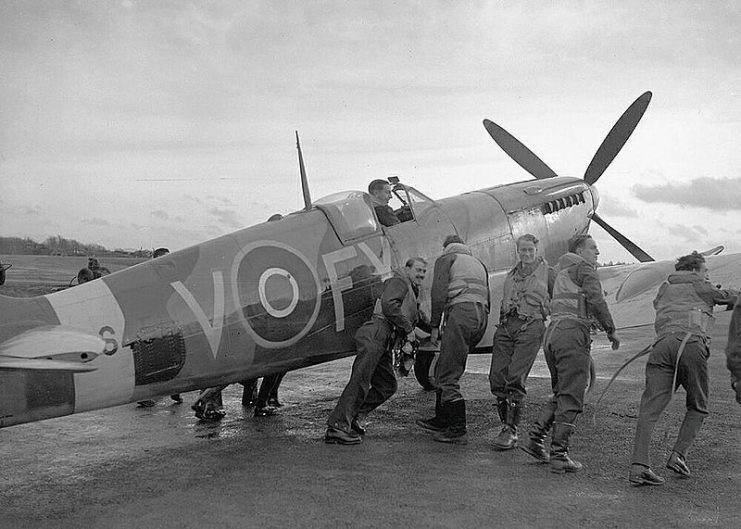 The last Spitfire mission flown by the RAF took place on the 1st of April 1954, as part of the Malayan Emergency.